Protect your business from every side. Comprehensive security solution for modern businesses. 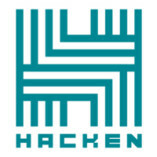 The Hacken Ecosystem provides a wide range of cybersecurity services. We employ experts from around the world to provide custom-tailored IT security solutions for any kind of business.